Like entrepreneur Victor Kiam, who was so impressed with his electric razor he bought the company, commercial finance broker Adrian Dadds was so impressed with the concept of pension-led funding he used it to finance his own business. After a career in banking and then commercial and property finance broking, Adrian decided turn his back on the corporate world and use his skills to develop his own commercial finance company. Interested in the concept of pension-led funding, which links the Intellectual Property (IP) value held within a company with the owner’s pension fund to release capital, Adrian made a phone call. “I’d set up St Georges Finance three years previously, but wasn’t looking for finance for myself, I was just interested for my clients. But the more I talked to Clifton, the more I started thinking ‘this might work for me, too’”. With his business starting to flourish, Adrian had already been considering expanding his team. But working from a small office, combined with the volatility of the market, meant space and cost made the next step difficult. Once the seeds of the pension-led funding idea had been sown, Adrian used his own expertise to consider the alternatives. “I didn’t even approach the banks as I knew it was a non-starter because SGF is still a relatively young business”, Adrian explains. Because pension-led funding is based on IP, Clifton discussed this option with Adrian. “I thought this was an interesting concept, but where do I get IP from a business like mine?” In fact, he was in for a surprise. 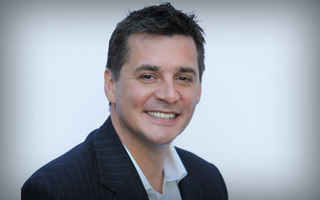 The pensionledfunding.com team focused on Adrian’s client database, which was comprised mainly of high net-worth individuals or companies who were solely St Georges’ clients, and set up an independent IP valuation. The whole process, from first call to money in the bank, took less than eight weeks in total. “It was very smooth and painless,” Adrian claims. He has already moved into new offices, his new employee is soon to join him and he even has cash available to boost his marketing and enhance his website. “It’s an easy option to leave the pension where it is and get a job. But now I have a growing business, more than half of my pension remains in place and the rest is completely under my control, so I can achieve my goals quicker than I thought and I’ve got control of my business. Intellectual Property value exists in a wide range of businesses through patents, trademarks, brands and even website domains. Click here to find out how pension-led funding can help fund your business using IP. Finance broker Adrian Dadds approached pensionledfunding.com on behalf of his clients, but found it provided a solution to his own expansion plans. St Georges Finance had been in business for three years and Adrian wanted to expand, but felt the banks wouldn’t lend to such a new company. Adrian’s client database of high-worth individuals and companies provided an intellectual property asset with which he could access pension funds. St Georges Finance has moved into new offices and money has also been used to boost marketing and enhance the company website.